Though the information on the Partner Plan Act website organizes activities into the three areas of Partner, Plan, and Act, a collaboration may progress through these different activities and areas in a nonlinear manner. A collaboration’s work is always fluid, and you may find yourself jumping between different areas and topics. For example, you may build a vision, start developing strategies, and test your ideas, only to find that you missed engaging a key stakeholder so you have to backtrack. All of this is part of a collaborations’ growth and development as the collaboration – and its community – are facing complex issues. Explore the Problem + Gather Local Knowledge: Take a deep dive into the information to understand the data and the root causes of issues. Create a Shared Agenda + Develop a Road Map: Create a logic model that will guide your collective work. Develop Strategies: Match strategies to the type of system issues. Create Measurable Outcomes: Measure progress towards your vision. 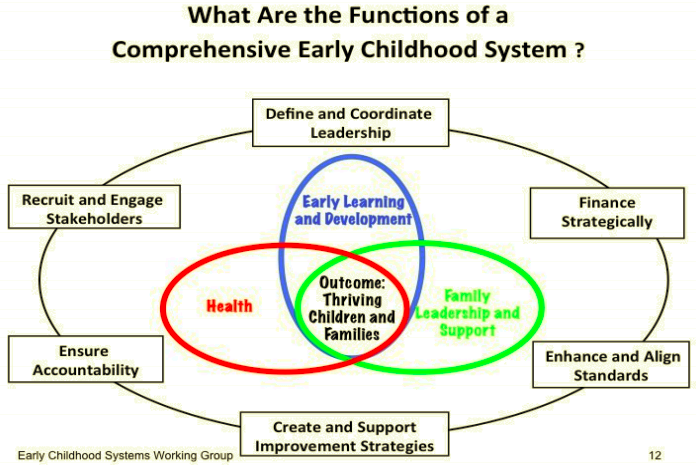 What Does a Successful Early Childhood Partnership Look Like? A good plan contains goals and objectives that are linked to the partnership vision and address root causes. This should also include “short wins” – strategies that can be implemented within a short timeframe (3-6 months).